Codan Consulting has been appointed as the official booking agent for the GIM 2019 in Pisa and will be happy to assist you with your room reservation or other related arrangements. 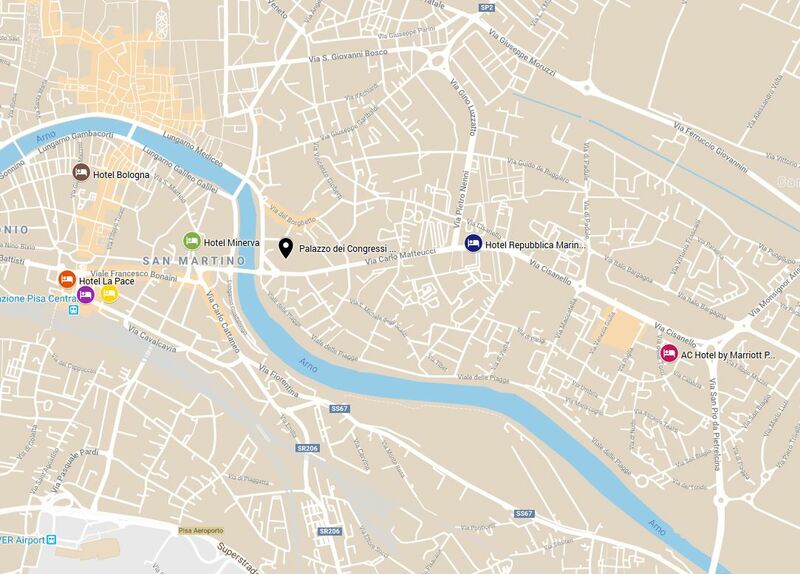 Map with the hotel location as well as the conference centre (Pallazzo dei Congressi Di Pisa) can be found here. For GROUP bookings (more than 5 bedrooms) please send us your inquiry to michaela@codan-consulting.com and we will send you a proposal. Please note that for bedroom reservations paid by credit card and exceeding the amount of 1.000,- EUR, 3% reservation fee will be added to your payment confirmation/invoice.